It would take hours to talk about the things to do in Hanoi where traditions and globalization found harmony. The 1000-year-old capital of Vietnam is blessed with rich culture, long history and, fabulous local foods and an authentic sense of lifestyle. Hanoi is no doubt the most important city of Vietnam. But have you ever wondered what makes Hanoi so different from other capitals on the world? Let's find our in our travel guide, exclusively with activities, attractions, day trips and detail itineraries selected by us. 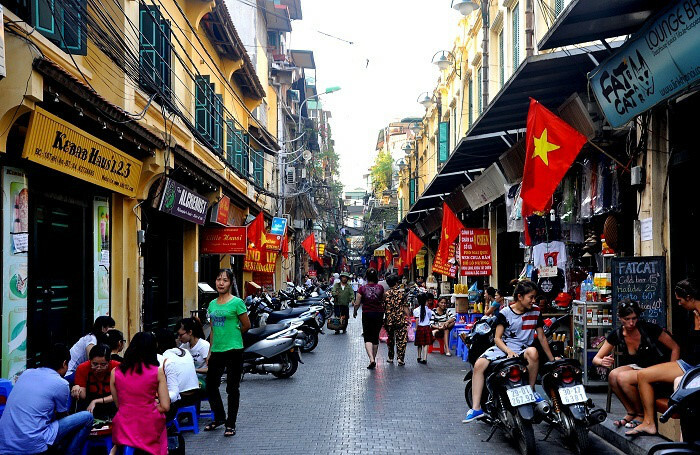 The Old Quarter of Hanoi is the place to be for every traveler. 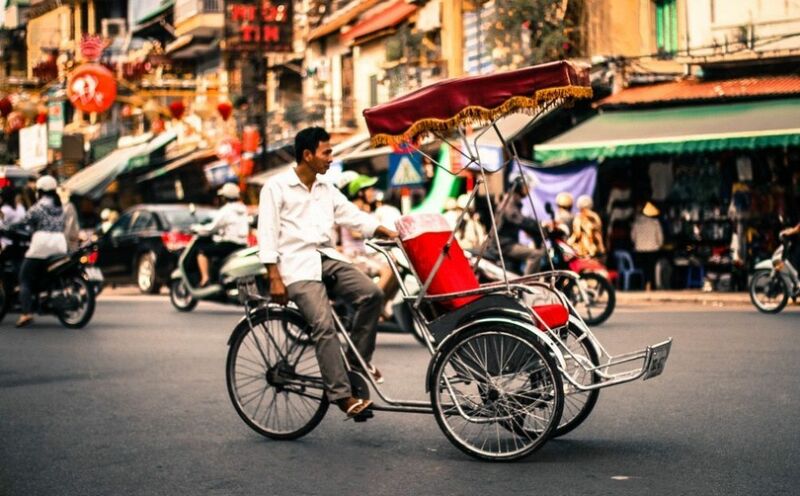 It’s the top choice when it comes to exploring what is the real Hanoi, from cultural and historical landmarks to hidden spots of savory local street foods. Old Quarter of Hanoi has its history dated back to even more than 1000 years ago when it started as a collective hub for handicraft guilds from all surrounding areas. As time went by, the quarter developed into a gigantic network of streets and markets where a huge number of handicrafts products were made and sold. The common appearance of old houses in Old Quarter is a combination of a narrow front and 2-storey long body. The streets of Old Quarter were named after the product the store-owners sell. ‘Hang Bac Street” is the street of ‘silverware’ or ‘Hang Duong Street’ is the street that sells ‘candies’, dried fruits (o mai). There are about 34 streets starting with the word “Hang” which indicates their specialization in selling a distinctive kind of product. Come to Old Quarter, don’t forget to visit the Heritage House at 87 Ma May and Bach Ma Temple to appreciate the traditional Vietnamese architecture. Or in Vietnamese, “Big Church”, is a historical and religious landmark worth visiting in Hanoi. This is a Roman Catholic cathedral with neo-gothic style resembling Notre Dame de Paris, which was built over 100 years ago by the French. 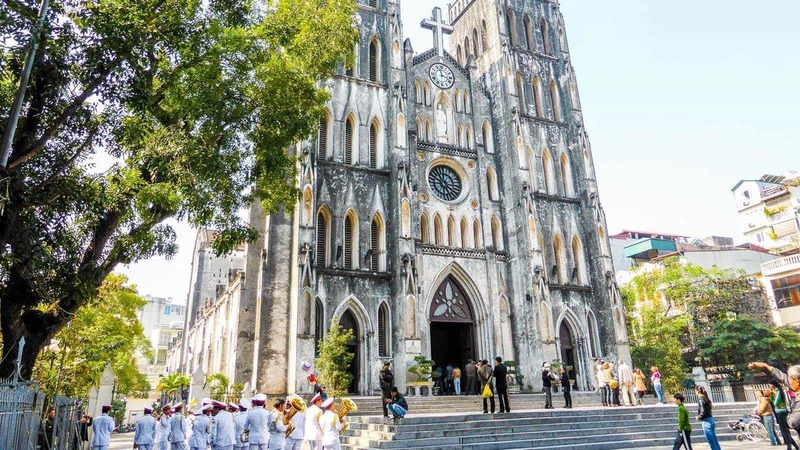 St.Joseph’s Cathedral is an important historical evidence of the French Colonialism and religious venue for Catholics in Hanoi today. Special ceremony is on 19th March every year. 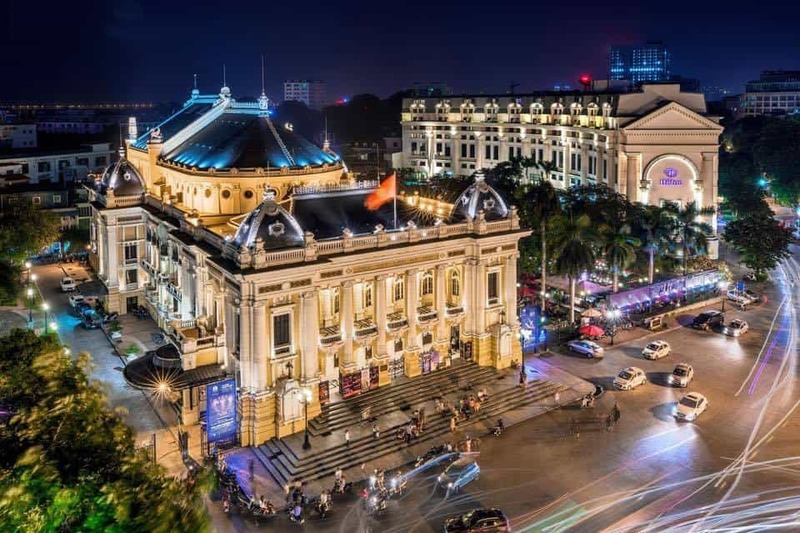 Hanoi Opera House is the star of the French Quarter. Your French Quarter tour can’t be complete if you miss Hanoi Opera House. Location: No.01 Trang Tien Street, Hoan Kiem District, Hanoi. Ticket Price: visiting tour no more than 20 individuals for 70 minutes costs 120,000VND per person. Performance tour no more than 250 individuals for 90 minutes (performance for 30 minutes) costs 400,000VND per person. For Opera House’s Show Schedule: http://hanoioperahouse.org.vn/en, average show tickets: from 300,000VND to 1,000,000VND. Hoa Lo Prison is a much heavier dose than the other two landmarks of the French Quarter. Hoa Lo Prison is not only a national historical landmark but also a war-crime evidence during French Colonial Period. Hoan Kiem Lake is the heart of Hanoi, located just right next to the Old Quarter, making it a place you can’t miss on your Hanoi city tour. Related to the popular legend, Hoan Kiem Lake was the place where the story of Emperor Le Loi returning his sword to a Golden Turtle God took place. After the legend, the lake’s name changed from Luc Thuy (Green Water) to Hoan Kiem (Lake of Returning Sword). On the northern shore of the lake lies Jade Island where the Temple of Jade Mountain stands. The red wooden bridge called The Huc (meaning Morning Sunlight Bridge) is a popular sight of the whole complex. Come to Hoan Kiem Lake you can take a walk around the refreshing and beautiful lake to enjoy the atmosphere, cultural space, and the food. Hoan Kiem Lake is absolutely a must-visit spot in Hanoi. 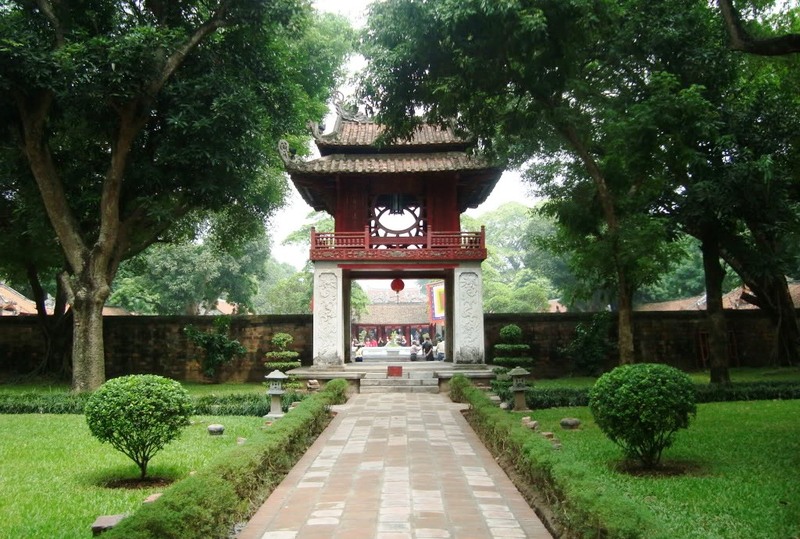 Come to Temple of Literature to learn more about Vietnam under the influence of Chinese Confucianism. The Temple of Literature, besides its historical and cultural significance, shows a light on how Vietnamese people appreciate education and enlightenment of the mind. You can also learn more about some of the brightest minds and literature talents throughout Vietnamese history. Dress code: do not wear these items: hats, shorts, miniskirts and tank-top inside worshipping/sanctuary halls. 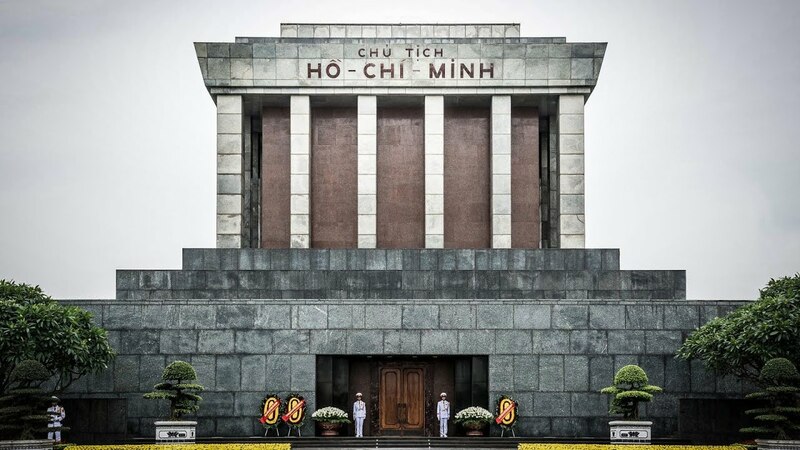 Ho Chi Minh Mausoleum on Ba Dinh Square, by no mean, should be missed by you when visiting Hanoi. The mausoleum is the final resting place of the most iconic, most beloved leader in Vietnamese history. From 1973 to 1975, the construction of the mausoleum finished with great effort brought together from all over the country. The building was made of granite, modeled on Lenin’s mausoleum in Russia. Around the mausoleum was hundreds of plants and flowers, among which the bamboo trees have the most meaning. When visiting Ho Chi Minh Mausoleum, visitors are required to dress with respect (no hat, shorts, sunglasses, sleeveless shirts, and miniskirts). Cameras and bags are not allowed to enter the mausoleum. Dress code: shorts, mini-skirts, sleeveless shirts, tank tops and so on are not allowed. Camera rules: Cameras, mobile phones and daypacks can’t be taken inside. The guards will collect those things before you enter the mausoleum. No shooting, video recording in restricted areas, especially inside the mausoleum. Putting your hands in your pockets and taking photograph is prohibited. 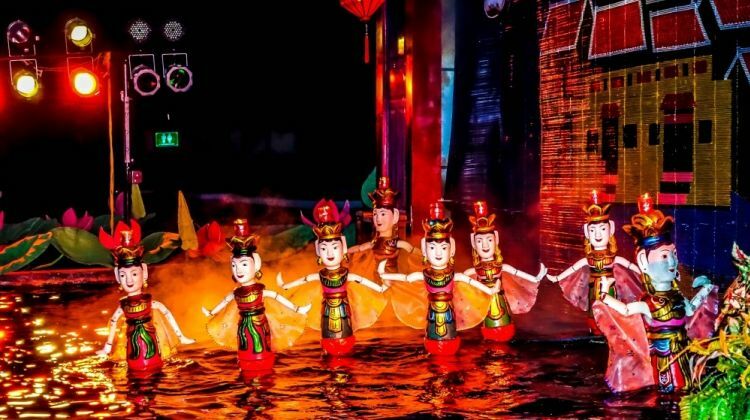 Water Puppetry is a traditional folklore performance of Vietnam which showcases the traditional daily life of Vietnamese farmers with activities like cultivating, tending buffalo, catching fishes or communal entertainment such as swimming contest dragon dancing. Water puppetry has a certain attachment to Vietnamese people since it’s a traditional art that has been performed within the agricultural villages for centuries, by and for the farmers. In real life, the villagers hold water puppetry performances in the village’s communal temple. Long bamboo sticks are used to control the puppets by the artisans standing behind the curtain. Thang Long Puppetry Theater is the first place where this traditional folk art to be made on stage with light and music effects before an international audience. With a convenient location, just across Hoan Kiem Lake, watching a water puppetry performance at Thang Long Theater is a must thing to do in Hanoi. Show schedule: Jan – Apr & Oct-Dec 15:00, 16:10, 17:10, 18:30, 20:00 | May – Sep 16:10, 17:10, 18:10, 20:00. Dong Xuan Market, the oldest market of Hanoi was built in 1889 by the French administration. 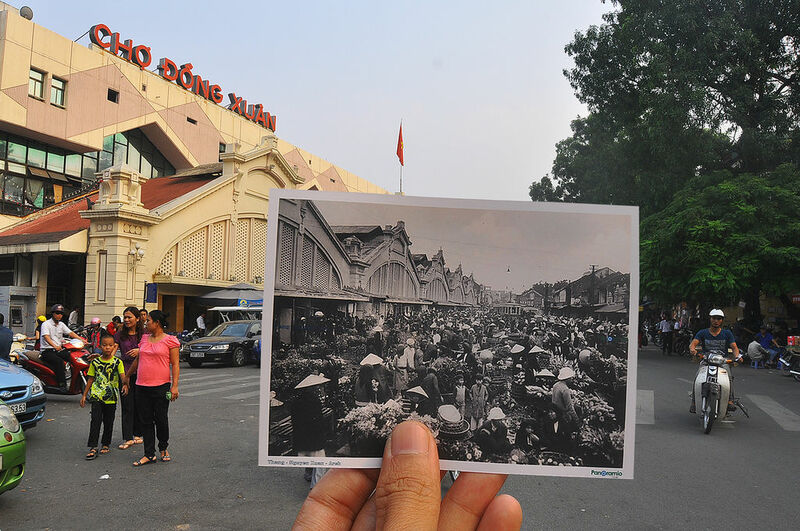 As time goes by, the market has developed into the largest covered market in Hanoi where you can find anything from clothes, souvenirs, to household good and foods. Originally, Dong Xuan is not a market for tourists but Dong Xuan Night Market is. On weekend’s nights (Fri-Sun), a 3-kilometer long line of stalls spreads on the middle of Hang Dao Street. On Saturday evenings, traditional folk arts and cultural performances such as cheo, ca tru will be held. From 20:00 to 22:00, it’s the most crowded time. If you only want to shop, you should visit earlier. When it’s crowded, keep your belongings in front of you. Dress comfortably, for women, better to use sandals instead of high heels. Don’t hesitate to bargain for cheaper prices. 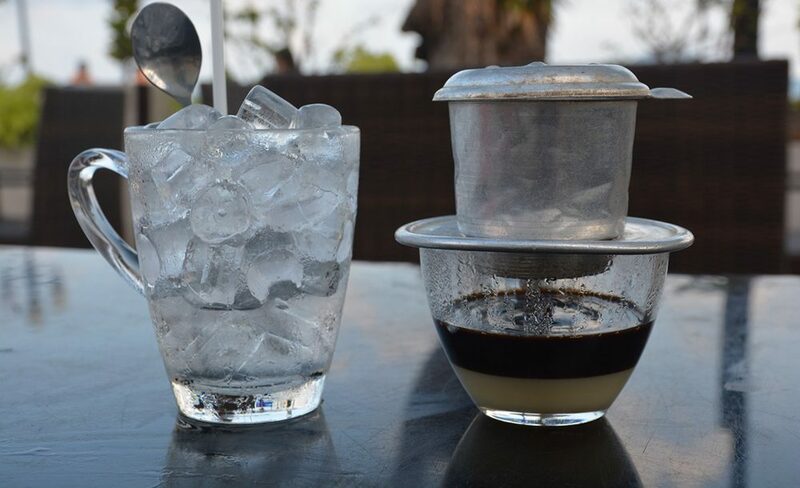 Vietnamese coffee is famous worldwide, this is a well-known fact. Coffee in Vietnam tastes so much stronger, sweeter and more flavorful, with a lot of variations and combinations that will surprise you. The French introduced coffee to Vietnam during the colonialism but Vietnamese people sure have made drinking coffee a culture of themselves. 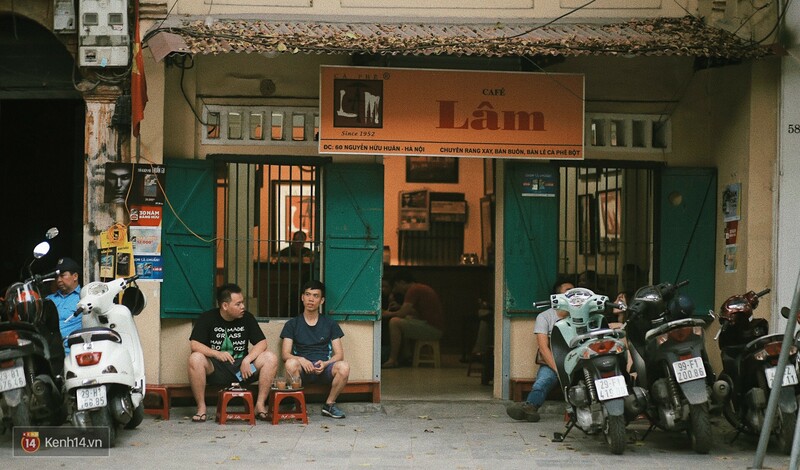 It’s a sight to happen only in Vietnam – people sitting on the sidewalks and waiting for the coffee to drip. Working people spend a lot of time to enjoy a cup of coffee, making it a daily habit. Black coffee and brown coffee (a mixture of black coffee and condensed milk) are the most common and the cheapest. While variations that make use of yogurt, egg, and fruits have become so popular. Long Bien Bridge is the most unique place to be in Hanoi. Designed by Daydé & Pillé, Long Bien Bridge is one of the many constructions that were built by the French in the early 20th century and still remains until today. This cantilever bridge connects two banks of Red River, spreads on a length of 1682m, consisting of a total number of 20 piers. 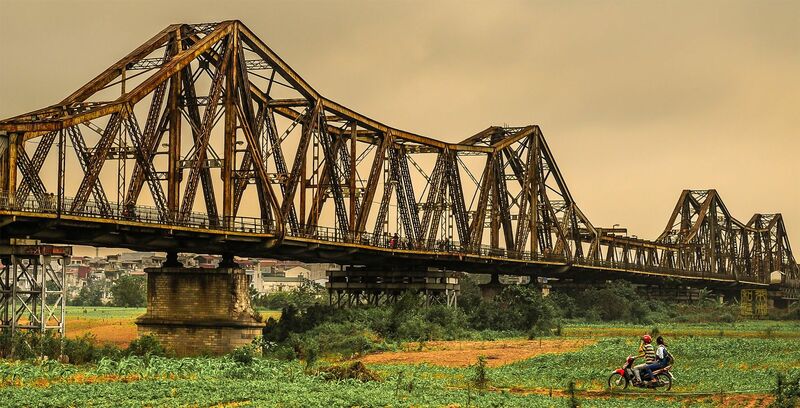 Long Bien is also the first bridge of railway running through Indochina and Hanoi – Hai Phong Route. Undergoing two wars with the French and the American, Long Bien Bridge was bombarded many times and became a witness of history. Nowadays, the image of the rusty red, age-old bridge spanning on the green fields of Red River’s mudflats has become something so precious to Hanoi people. If you don’t mind straying further from the crowded Old Quarter, walking tour to Long Bien is a great thing to do. The bridge offers great landscape, angles for photography and new perspective into the local life. Pho Hanoi is always different from Pho from elsewhere. It’ll be a pity to not have a hot bowl of Pho while in Hanoi. The dish is just so flavorful, nutritious and delicious with meat-based broth, beef or chicken toppings, and full of fragrant herbs. 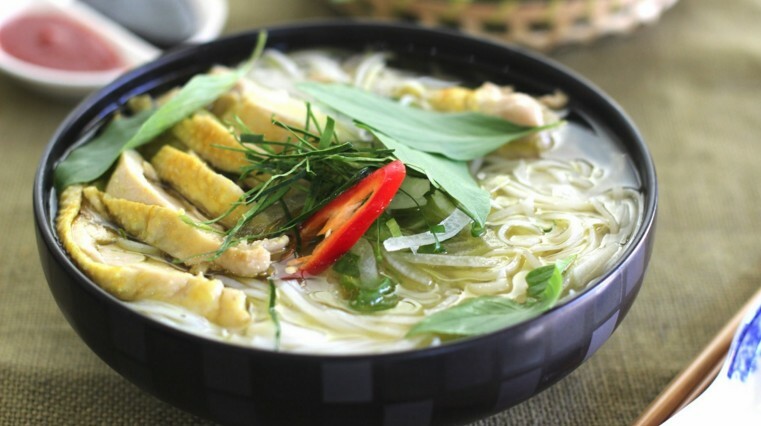 Hanoi people can eat Pho for breakfast, lunch or dinner. Pho might look simple yet to make a good Pho, meticulous preparation of the ingredients, especially the spice mix, must be done. A bowl of Pho Hanoi consists of three parts: the broth, the noodles and the toppings which must be cooked separately and only be put together at the last minute. Don’t forget to put the herbs into your bowl before diving in. They will add a lot of flavors to the final taste. 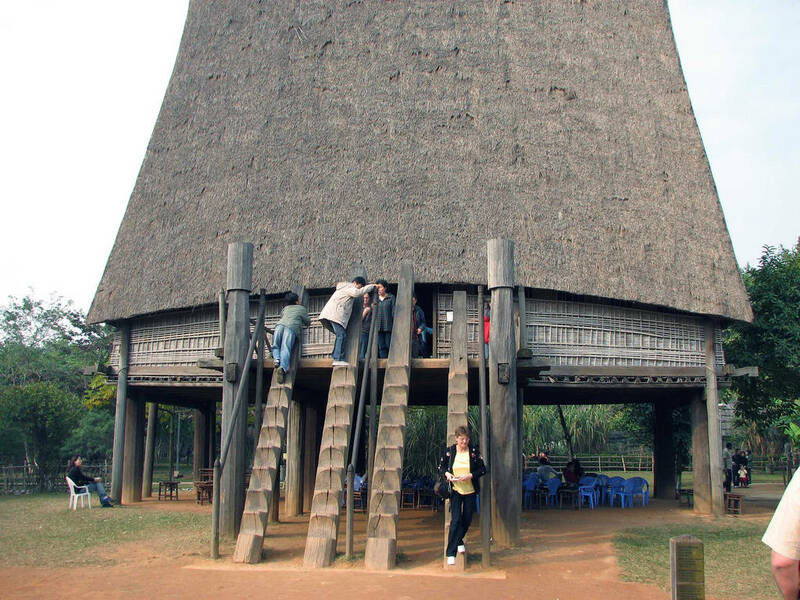 Among the rich collection of museums in Hanoi, the one that’s worthiest of your visit is Vietnam Museum of Ethnology. The institute offers an insight into the 54 different ethnic groups of Vietnam. A visit to the museum is a great opportunity to understand more about Vietnamese diversity in culture and identity. and outdoor representing a range of traditional houses of minorities in Vietnam. All the artifacts are presented in a simple way, put in their cultural context. It’s easy to imagine the life of each ethnic people through the setting and information the museum presented. Vietnamese food made into top healthiest cuisines in the world. It’s such a lovely thing to come back home, being able to cook the foods from the place you’d traveled to. A wide range of cooking classes available in Hanoi will help you do this. Most of the cooking classes feature a market tour and 3 to 4 hours of cooking. There is always a chef to introduce the dishes, how to eat, and give instruction on the cooking process. The standard menus feature the most essential dishes of Vietnamese cuisine such as Banh Xeo (Sizzling Pancake), Spring Rolls, Claypot Fish, or Pho. After done cooking, you can enjoy the dishes you just made. The chef will also show you how to eat for each dish just like the locals do. Average price for a half-day cooking class, including a shopping tour to a local market, ranges from $30 to $50 USD. Advanced classes have more difficult dishes, longer hours and higher prices. Just like any touristic city, Hanoi also has a street for foreign tourists to enjoy the city night scene – an ‘international crossroad’. 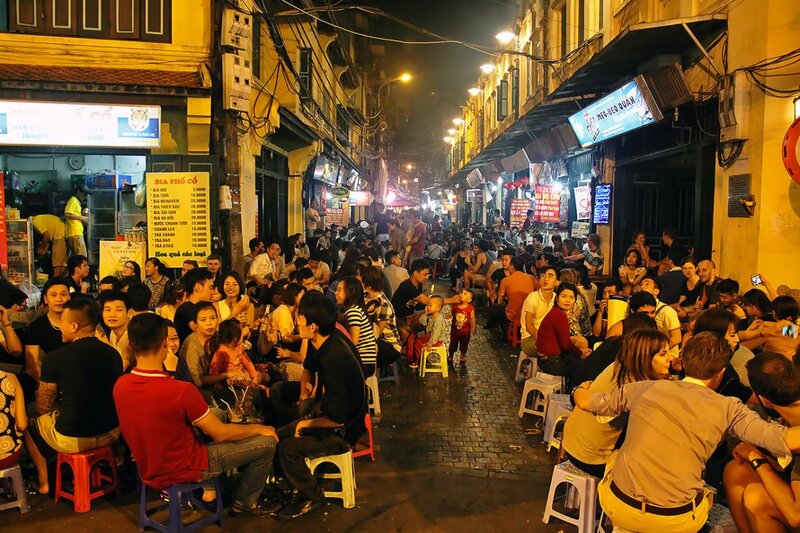 Ta Hien Street, once called Geraud, is only 200 meters long, yet every night, especially on weekends, it hosts crowds of tourists from all over the world coming here to enjoy a glass of drought beer and street snacks, packed on the sidewalks. One thing that has made Ta Hien Street so famous and special is its atmosphere. It is a street where the old and the new meet on a background of French colonial vestige. The dishes you can enjoy in Ta Hien are definitely the highlight of Vietnamese cuisine. In the morning, Pho and other noodle soups are the main dishes. A chain of restaurants, pubs, and clubs offers even more choices for your lunch/dinner. But if you want to stick to the sidewalk, you might find a plate of basil roasted peanuts, a serving of meatball skewers and fried potatoes are excellent choices to accompany ‘Bia Hoi’ – a popular local cheap beverage (yet it tastes so good in a hot day). Ta Hien is the best place to spend a night out in Hanoi! 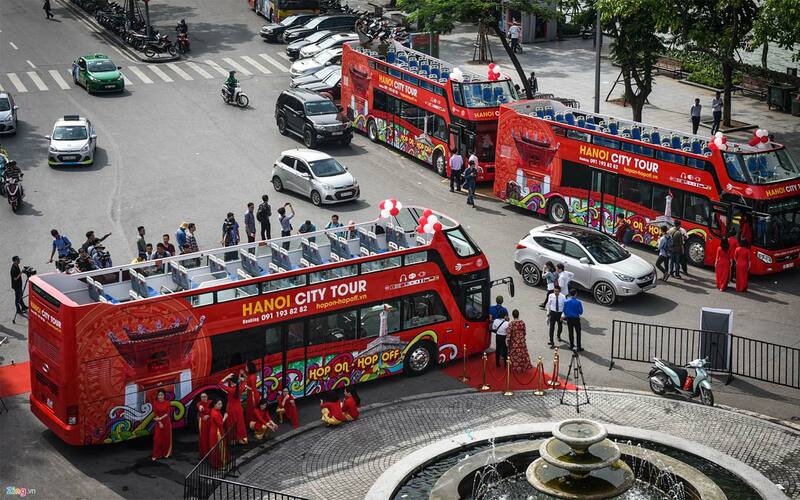 Officially opened from 2018, the brand new Hanoi Hop-on hop-off bus service offers city tour to at least 15 attractions around the capital of Vietnam. Visitors can hop-on and hop-off at any stop during the tour. Highlighted attractions are: Hanoi Old Quarter, Hoan Kiem (Sword Lake), Ngoc Son temple, Hoa Lo prison, historical relic site, Ho Chi Minh Mausoleum, Quan Thanh Temple, West Lake, Temple of Literature, Thang Long Royal Citadel and Hanoi Opera House. The bus is equipped with an automatic interpreting system of many languages like English, French, Russian, Chinese, Indonesian, German, giving detail information on every historical landmark of Hanoi. Located 65km from the center of Hanoi, Chua Huong or Perfume Pagoda Complex would make a great destination for a day trip. Due to the unique shrine and temple setting inside of a karst structure, Perfume Pagoda has become the most famous religious site in Vietnam. The day trip to Perfume Pagoda includes boating on Yen Vi river, caving to Huong Tich Grotto and visiting Thien Tru Pagoda. The landscapes change from a winding river with the lush rice fields on the sides of the limestone mountain to karst-structured caves. It’s a feast to the eye. 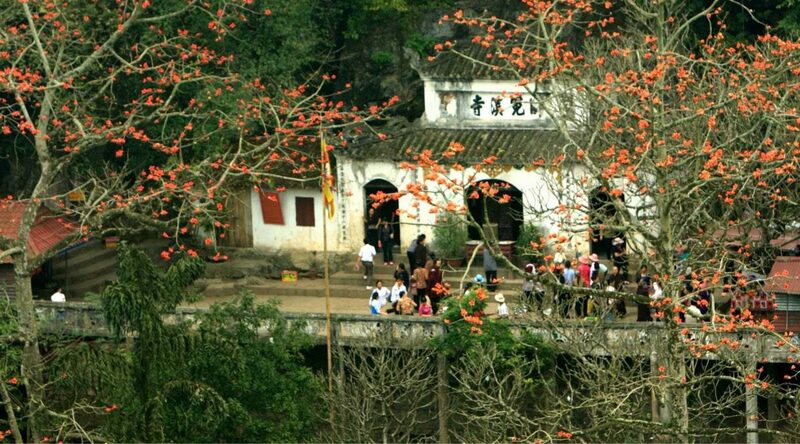 Every year, Perfume Pagoda Festival lasts for at least a month, starting from the second lunar month following Tet. Even though the atmosphere is incredible but it’s not recommended to visit during this time if you want to avoid crowds. Ba Vi National Park, a quiet getaway, is the top choice for bicycling and trekking. 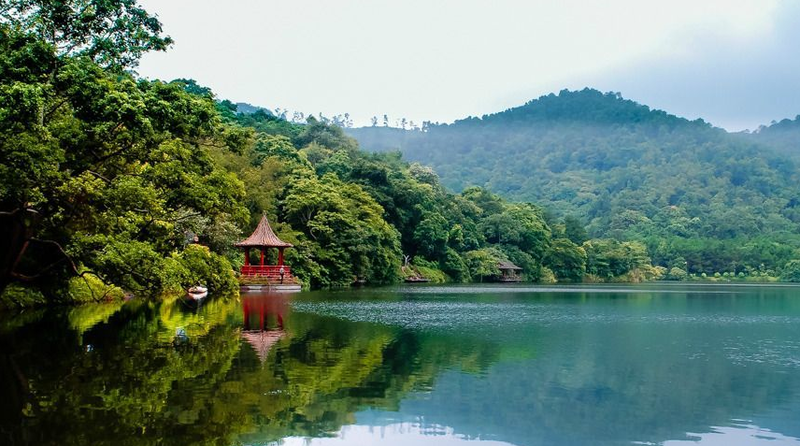 Just 40km from the city center and with an easy access, you’ll find Ba Vi National Park a great place to enjoy the natural scenery. About 1200m above sea level, there is a 12km road up to the peaks – Vua Peak, Tan Vien Peak and Ngoc Hoa Peak, steep and winding through the dense forests. From the mountaintop, you’ll have to trek on foot to the temples for the views. Tan Da Spa Resort inside the park offers services of lodging, hot springs, mud baths, wet steam baths and more. Admission costs 40,000VND per adult and 20,000 per child. Only about 20 minutes away from Hanoi’s center, Bat Trang pottery village is a wonderful place for a short trip for a half day. With its history dated back to the 14th century, Bat Trang is one of the most ancient pottery villages in North Vietnam. Bat Trang local artisans have developed their handicraft by combining traditional techniques and modern technology. A wide variety of pottery and ceramics products are available for you to purchase at many levels of prices. You can also try making your own artwork under the instruction of the real artisans! It’s a great activity for groups and families, especially for kids! 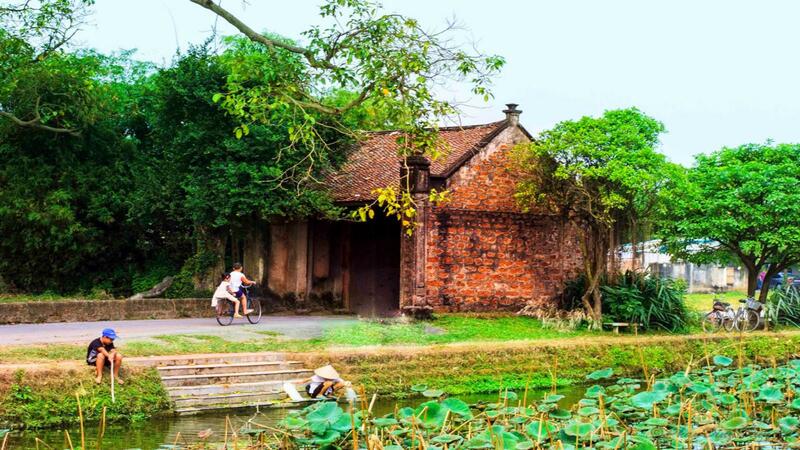 Located at Son Tay town, 40km away from Hanoi, Duong Lam ancient village is another spot for a weekend getaway. The village preserves an entire community of the traditional Vietnamese way of life – agriculture-based and Buddhism-influenced. The gate of Mong Phu village was kept intact as the representative of the old-styled Vietnam village, with red roof tiles, banyan tree, paddy field and lotus pond. While the whole structure of the village was built like a fish-bone where all the alleys are dead-end and only leads back to the main road, advantaging the villagers when outside invaders intrude. There are almost 1000 traditional houses in Duong Lam, many of which have been preserved and opened for visiting. Besides the houses, when in Duong Lam, you shouldn’t miss Mia Pagoda, communal house and village’s temples. Only 100 kilometers south of Hanoi, Ninh Binh is an excellent destination you can visit and get back within a day. Blessed with the wonders of karst structures and limestone mountains and rich local culture, Ninh Binh is home to the world's cultural and natural heritage Trang An. Come to Ninh Binh, you can't miss riding a boat in Tam Coc or Van Long, visit Hang Mua and climb the Drangon Lying Mountain, enjoy the delicious Ninh Binh delicacies. The above are our best suggestions for your trip to Hanoi, a city which you can enjoy both cultural activities and an exciting nightlife! But it’s not all to talk about what are the best things to do in Hanoi, please let us know your own thoughts and suggestions! Are you ready for your best trip to Hanoi, Vietnam?! Contact us for even more insights and advice!